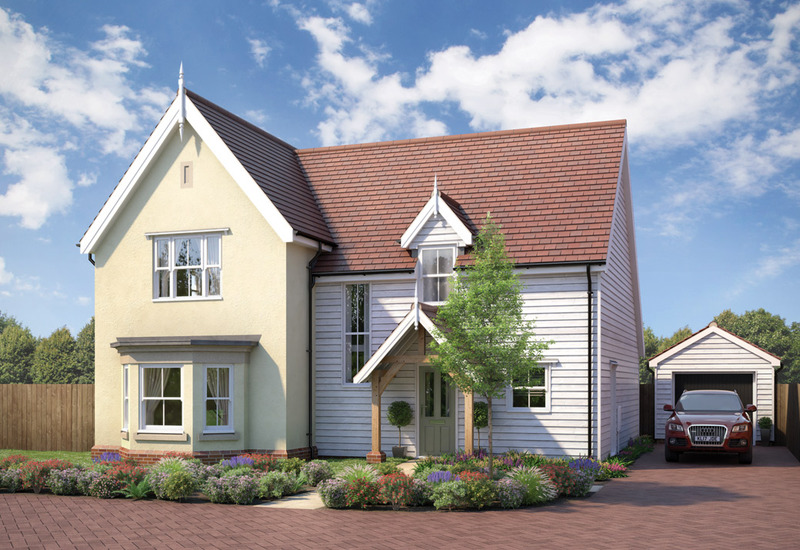 Two delightful developments, both featuring beautifully appointed detached new homes that combine traditional quality, contemporary fittings and enviable countryside surroundings. 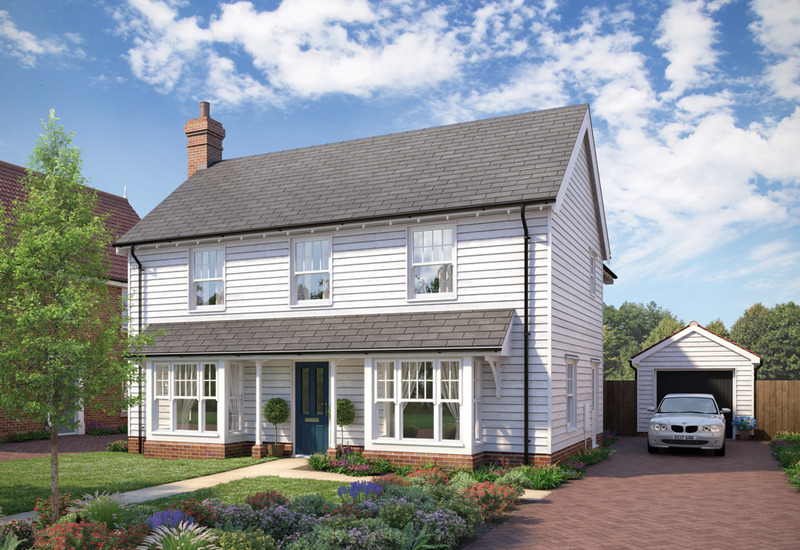 Rose Builders are extremely proud to offer two small developments of just two and six homes, known collectively as The Little Bentley Collection, nestled in the tranquil village of Little Bentley in a desirable part of Essex’s Tendring Peninsula. 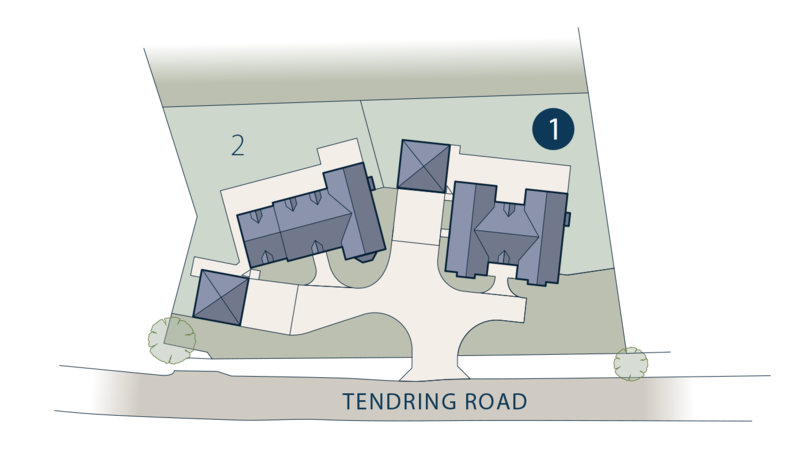 Offering just a total of eight detached three, four and five bedroom houses, these homes have been thoughtfully designed in every detail. This exceptional collection will provide a rare opportunity to live within a stunning, high quality new-build house in the countryside, constructed by one of the areas most highly regarded house builders. Each of the homes enjoys generous living areas, a beautifully appointed kitchen and a sophisticated specification, along with spacious bedrooms, contemporary fitted bathrooms and stylish en-suites. These impressive homes are finished with the attention to detail and expert craftsmanship that has been closely associated with Rose Builders for many years. 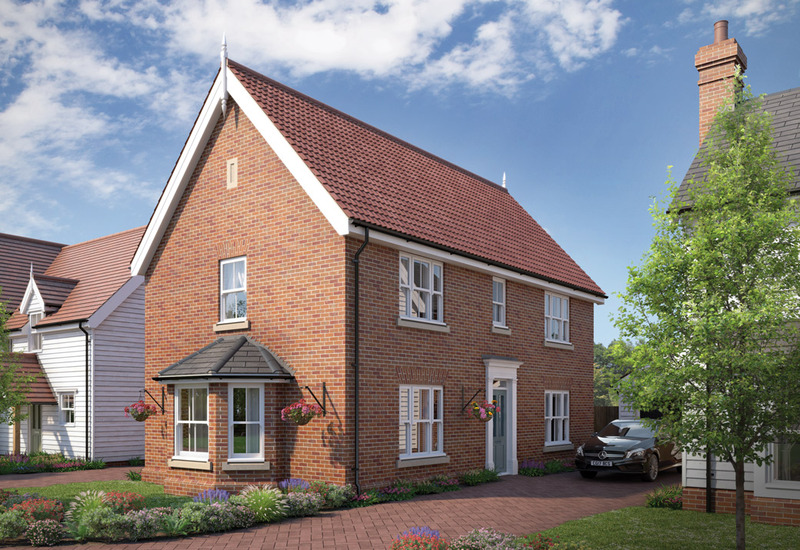 Little Bentley is ideally positioned just a short drive from some excellent transport connections and within easy reach of several larger towns, such as Manningtree, Colchester and Ipswich. It not only offers a charming village setting, surrounded by open-fields and stunning scenery, but is also perfectly located for today’s busy lifestyles. Residents can enjoy the best this outstanding area has to offer, in homes specified to the most exacting standards for which Rose Builders are locally renowned. When it comes to quality and location these homes have it all. Surrounded by open farmland and a patchwork of far-reaching fields, The Little Bentley Collection is an ideal place to escape the hustle and bustle of everyday life and enjoy a relaxing lifestyle within easy reach of the coast and countryside. Each home has been carefully planned and this collection will offer something for everyone, with splendid living spaces designed to please. Sycamore House is a spectacular detached five bedroom home. The impressive hallway leads through to the extensive open plan kitchen/breakfast/family area which features french doors opening out onto the rear garden. The separate elegant living room has french doors to the garden, while the dining room and study benefit from feature bay windows which flood the rooms with natural light. 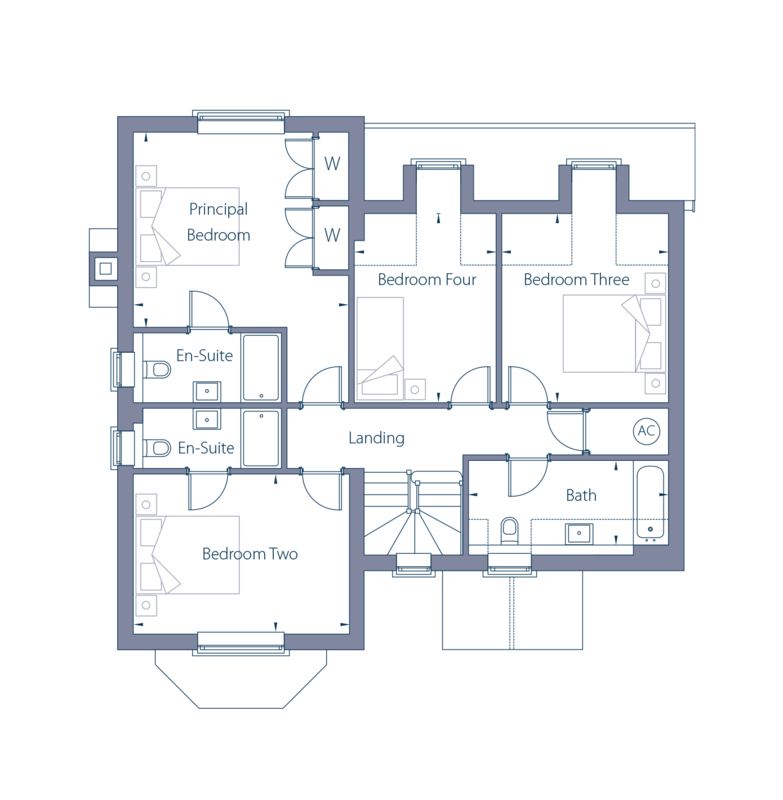 The first floor is home to a stunning principal bedroom with luxury en-suite shower room, a second bedroom with an en-suite and three further bedrooms. 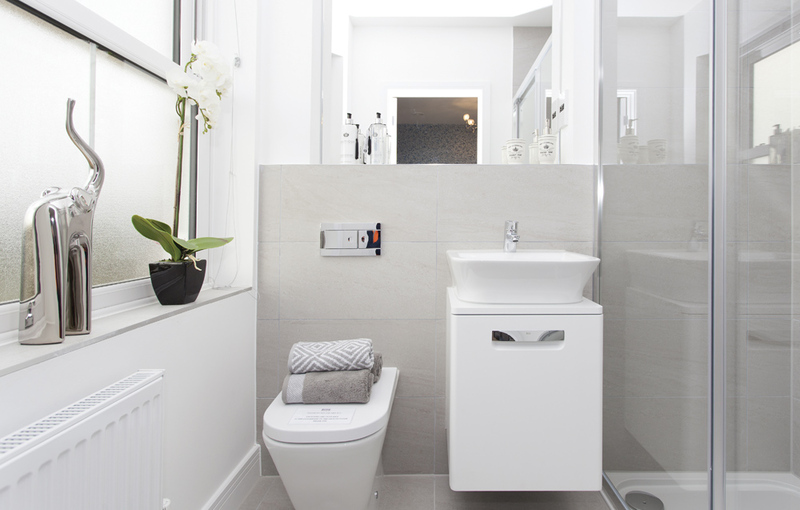 A contemporary, well appointed bathroom completes this beautiful family residence. 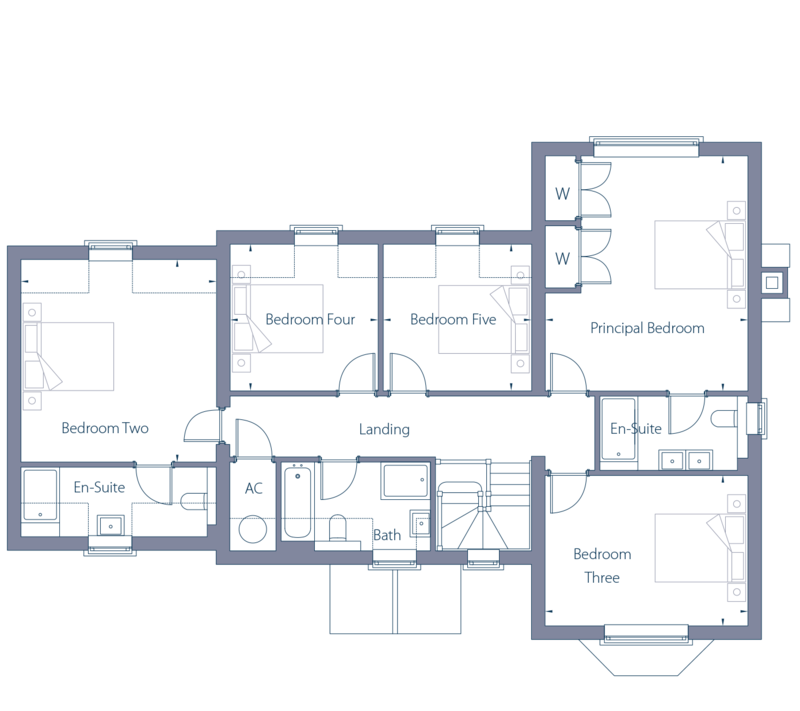 Floorplan shows Sycamore House (Plot One, Tendring Road). All dimensions shown on these pages are approximate only and may be within a tolerance of +/- 50mm. Whilst these particulars have been prepared with due care for the assistance of intending purchasers, the information and images contained therein is preliminary and intended as a guide for marketing purposes only. They do not form part of any Contract and the Developer reserves the right to vary as necessary to complete the works. Please note all designs may vary slightly according to plot and all details should be checked with the sales advisor. 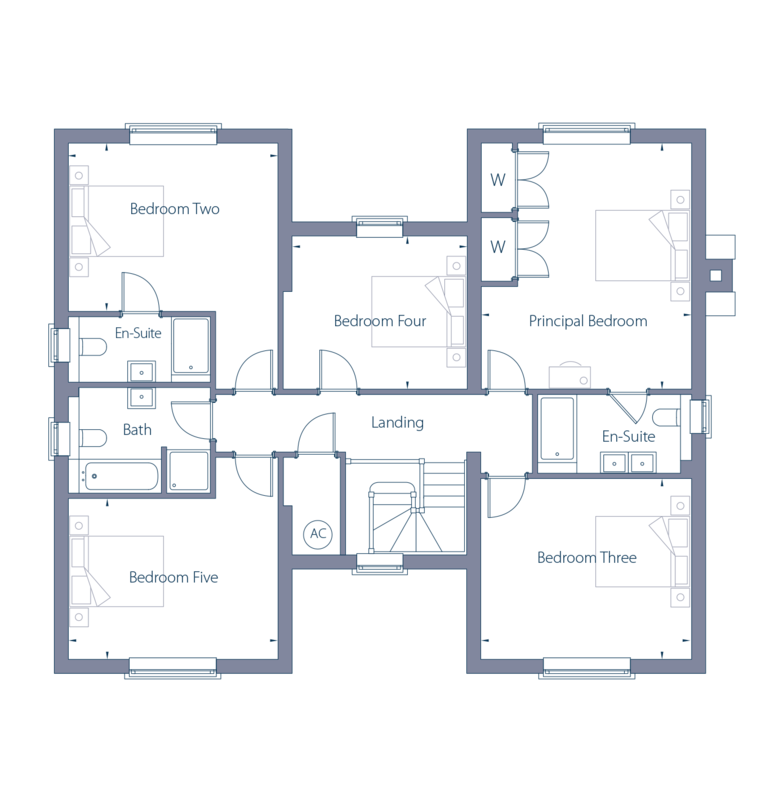 Elevations, material colours, room sizes and layouts have been taken from architect's drawings and may vary as construction progresses. 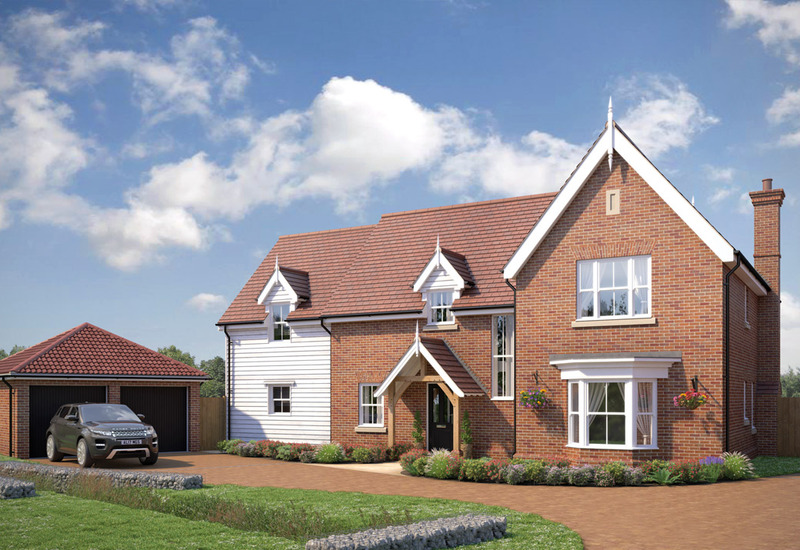 Foxhall is a beautiful detached five bedroom house that will leave a lasting impression. This spacious home benefits from a large kitchen/breakfast/family area with feature bi-fold doors leading through to the rear garden and patio area. There is a separate light-filled living room, dining room with a large bay window, study and a convenient utility room. On the first floor the principal bedroom is enhanced by a stunning en-suite shower room. The second bedroom also enjoys it’s own en-suite and there are three further well proportioned double bedrooms. A well-planned family bathroom suite completes this impressive home. Floorplan shows Foxhall (Plot Two, Tendring Road). These traditionally inspired homes are perfect for modern lifestyles. The stunning open plan kitchen/family area features beautiful specifications and bi-fold doors that lead through to the rear garden. The living room has an attractive feature fireplace with free standing log-burner and French doors onto the garden. 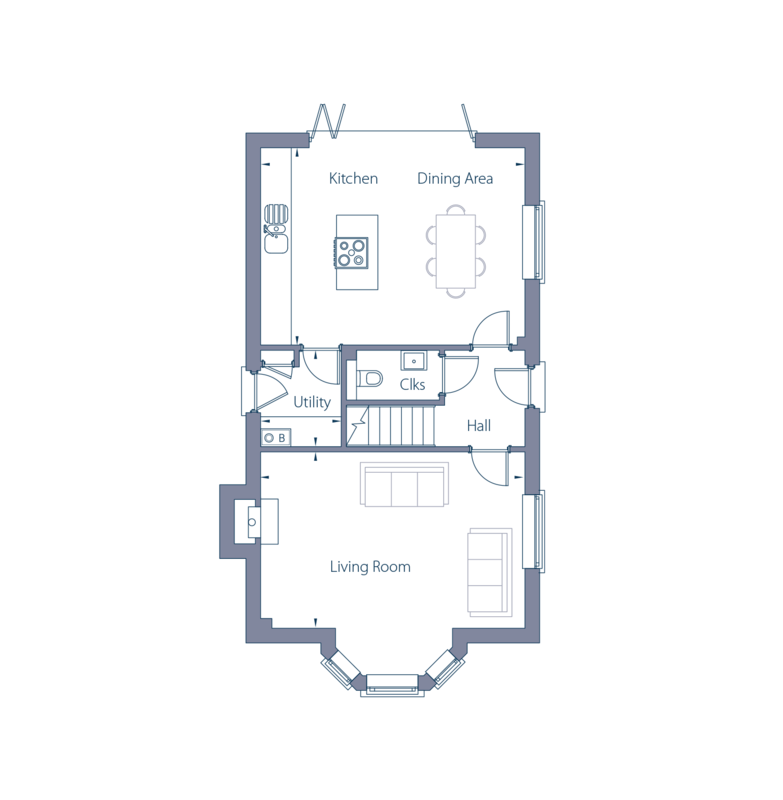 There is also a separate dining room and a convenient utility room. 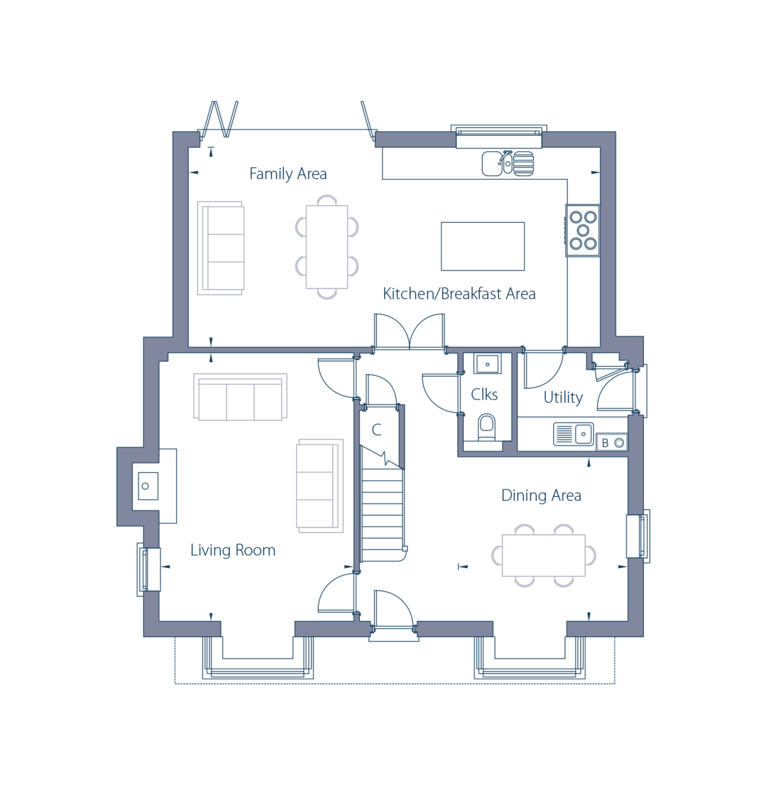 Upstairs there are four well-proportioned bedrooms, two en-suites and a modern family bathroom. Indicative computer generated image shows Plot One at Manningtree Road. Plot Six is handed compared to image shown and landscaping/surrounds may vary slightly. 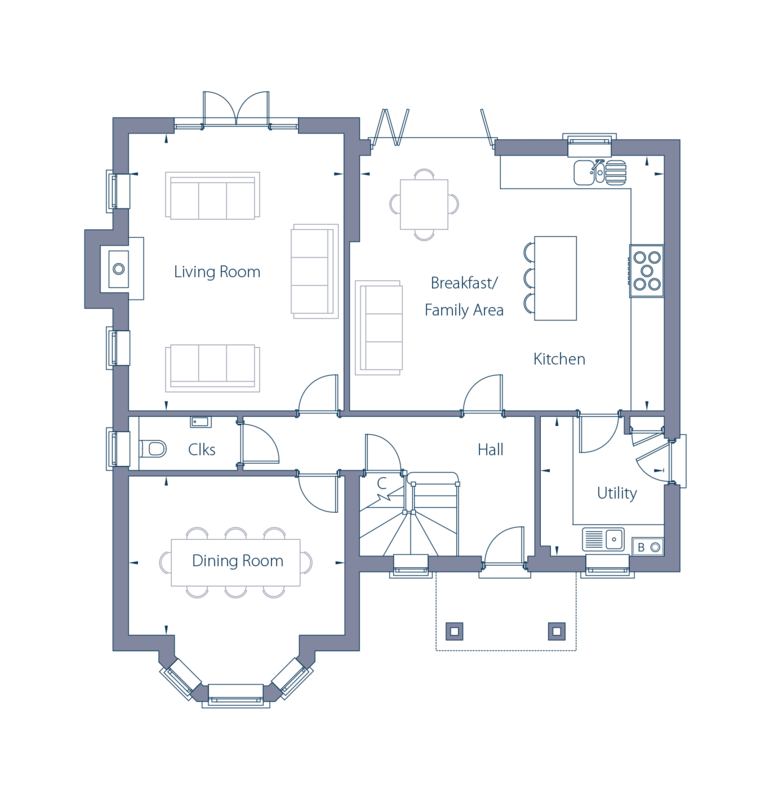 Floorplan shows Plot One (Manningtree Road) – Plot Six is handed. This impressive home provides both traditional charm and the best in modern living. With a classic double fronted design and feature bay windows, this impressive home provides both traditional charm and the best in modern living. The open plan dining area and separate living room offer ideal places to unwind, whilst the spacious kitchen/family area, entered through double doors, is sure to become the heart of the home. 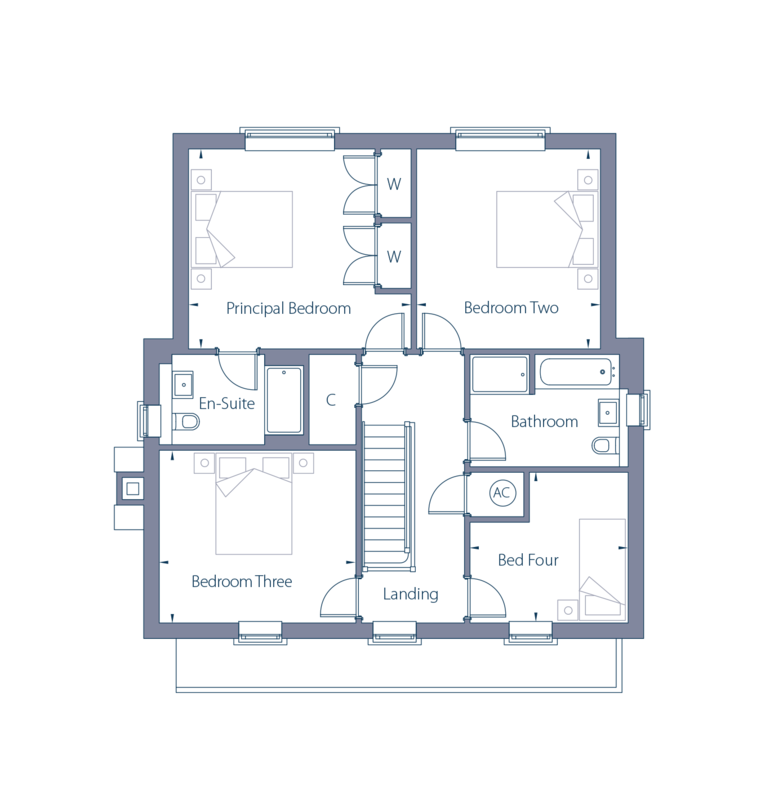 Upstairs offers a principal bedroom with en-suite shower room and fitted wardrobes, three further generously sized bedrooms and a beautiful main family bathroom. Indicative computer generated image shows Plot Three at Manningtree Road. 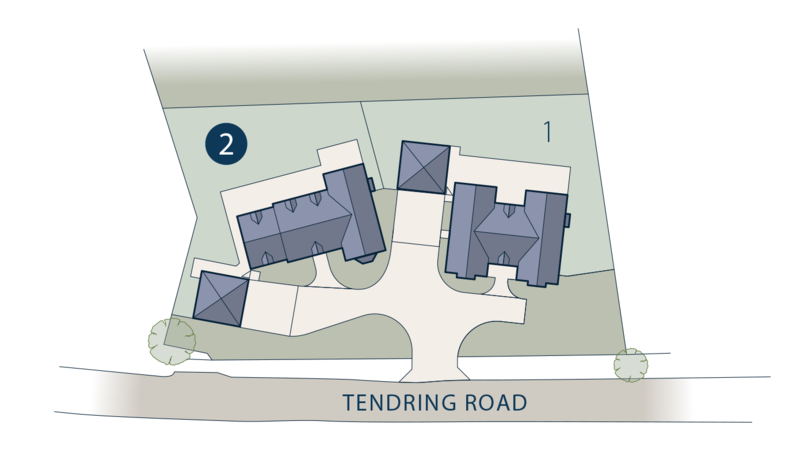 Plot Four’s landscaping/surrounds may vary slightly compared to image shown. 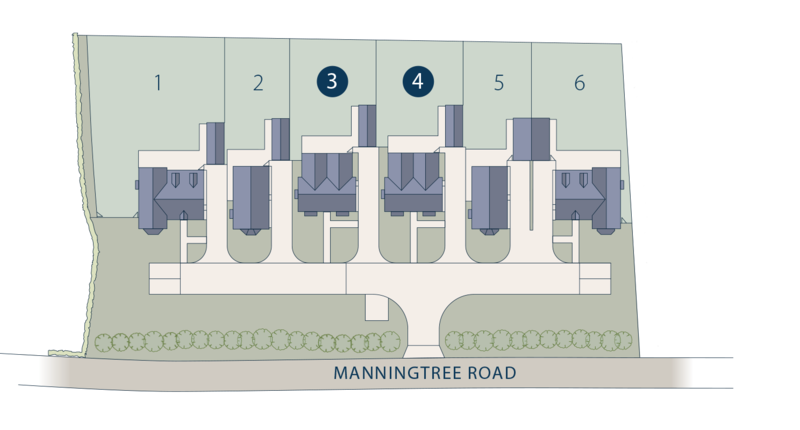 Floorplan shows Plots Three and Four (Manningtree Road). 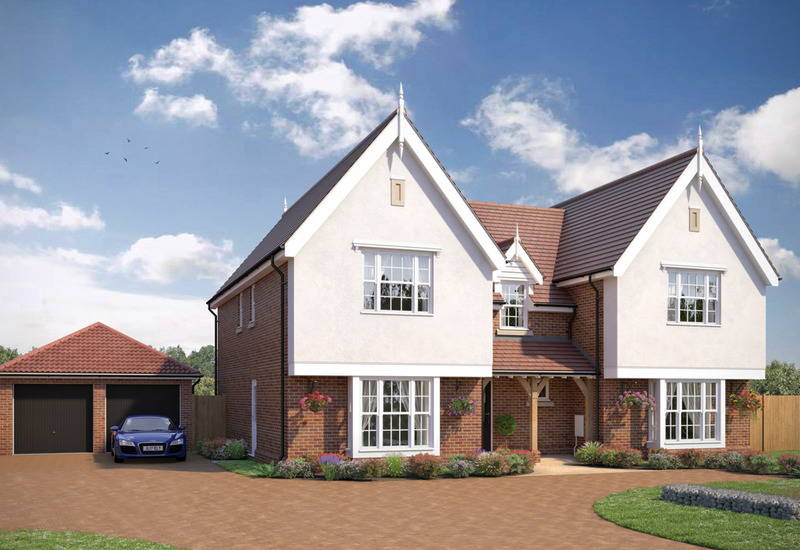 These two elegant and beautifully designed detached houses are perfect for today’s lifestyles. Features include a bay window to the living room and an impressive open plan kitchen/dining area with stunning specifications and quality appliances, as well as bi-fold doors which flood the room with natural light. 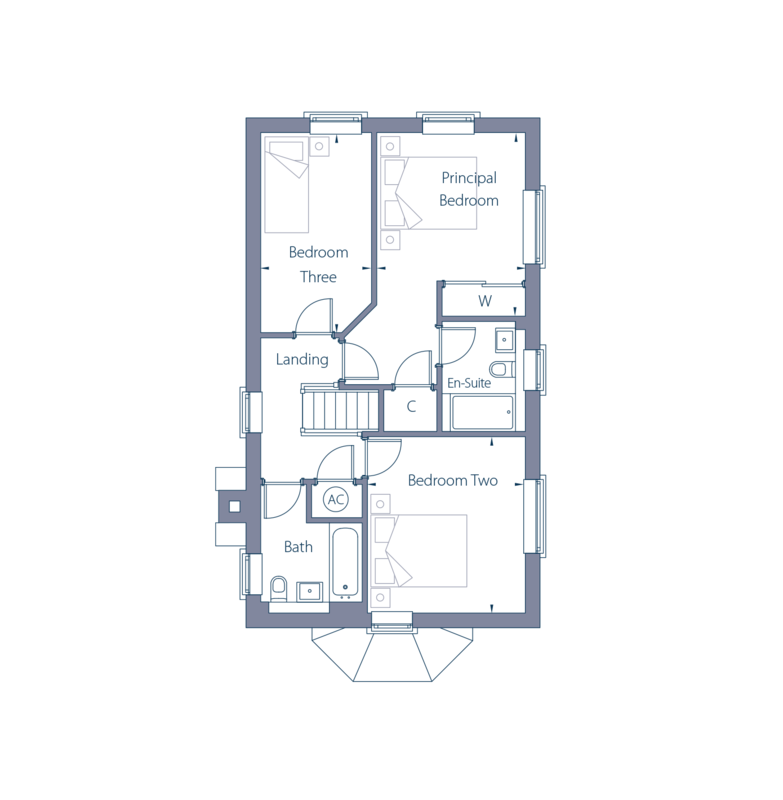 On the first floor,the dual-aspect principal bedroom has an en-suite shower room and built-in wardrobe. 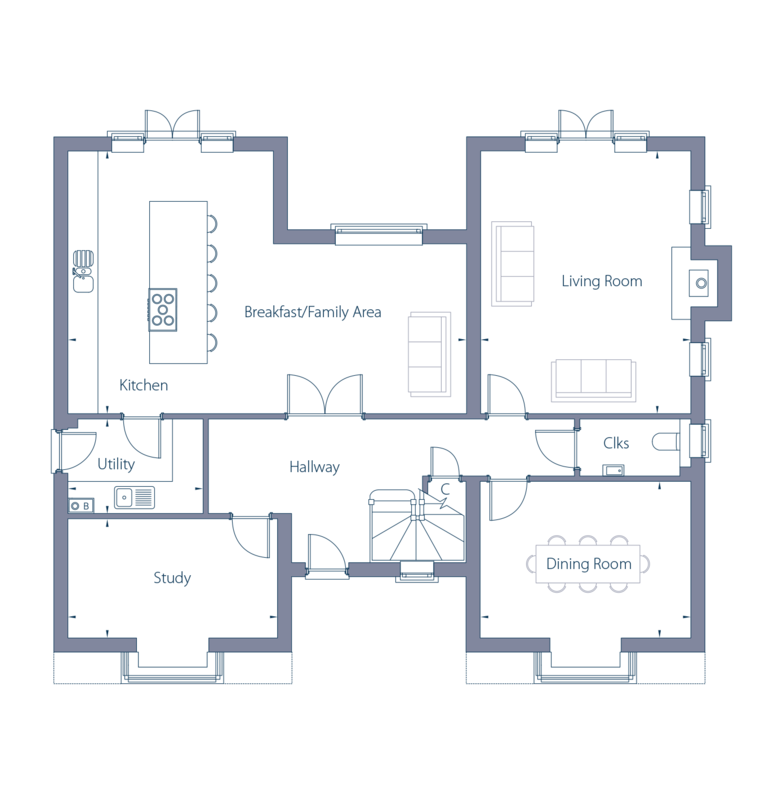 There are two further bedrooms and a contemporary main family bathroom. Indicative computer generated image shows Plot Two at Manningtree Road. Plot Five’s landscaping/surrounds may vary slightly compared to image shown. Floorplan shows Plots Two and Five (Manningtree Road). All the homes in The Little Bentley Collection have been meticulously planned and beautifully appointed – featuring stylish fittings, quality appliances and uncompromising attention to detail throughout. Chrome electrical switches and sockets throughout ground floor, first floor landings and bathrooms/en-suites. White switches and sockets elsewhere. All images shown are from previous Rose developments and are for indicative purposes only. It may be necessary, and rights are reserved, for Rose to make alterations as necessary to the layout, specification and appearance of the development at any time without formal notice. Supporting the Consumer Code for Home Builders. Each home built by Rose Builders Ltd is covered by the NHBC 10 year Warranty. 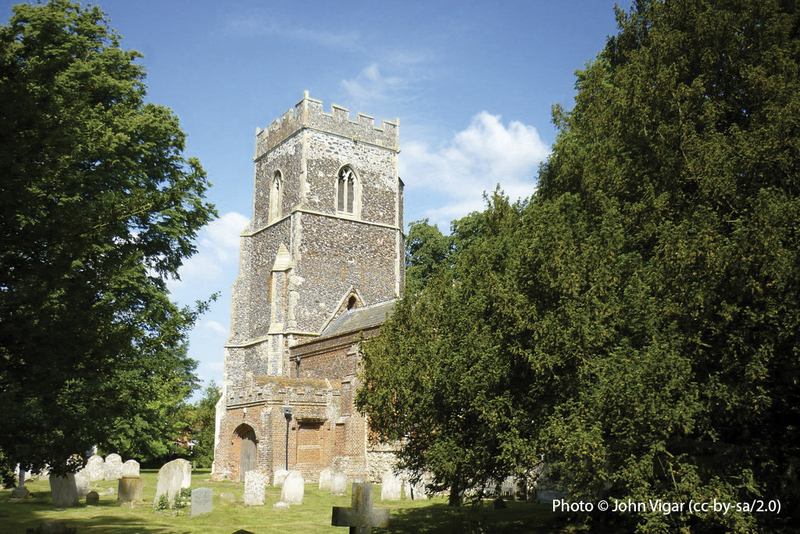 Idyllically positioned in the glorious Tendring countryside, just a short distance from Essex’s famous sunshine coastline, lies the sought-after village of Little Bentley. It’s a beautiful rural location in which to enjoy quintessential village life, yet the City of London can be reached by train in around an hour. With a backdrop of open fields, the village encapsulates rural life perfectly and is ideal for walks, cycle rides and other leisurely outdoor activities and is home to a popular pub, the Bricklayers Arms. Just a few miles away lies the village of Great Bentley, which has several pubs and restaurants, a primary school, doctor’s surgery, some small shops and a railway station. There is also a primary school at nearby Tendring village. Further afield just five miles away, you will find the busy town of Manningtree, situated on the banks of the River Stour. It benefits from an extremely well served main line train station, with regular trains direct to London’s Liverpool Street Station. Home to a wide range of amenities, the town’s High Street offers everything from independent stores, local bakeries and a deli, through to highly regarded restaurants. There are supermarkets, a traditional weekly street market offering locally sourced produce, primary and secondary schools, a dental practice and surgery. The ancient town of Colchester and all it has to offer, is around fifteen minutes away by car. 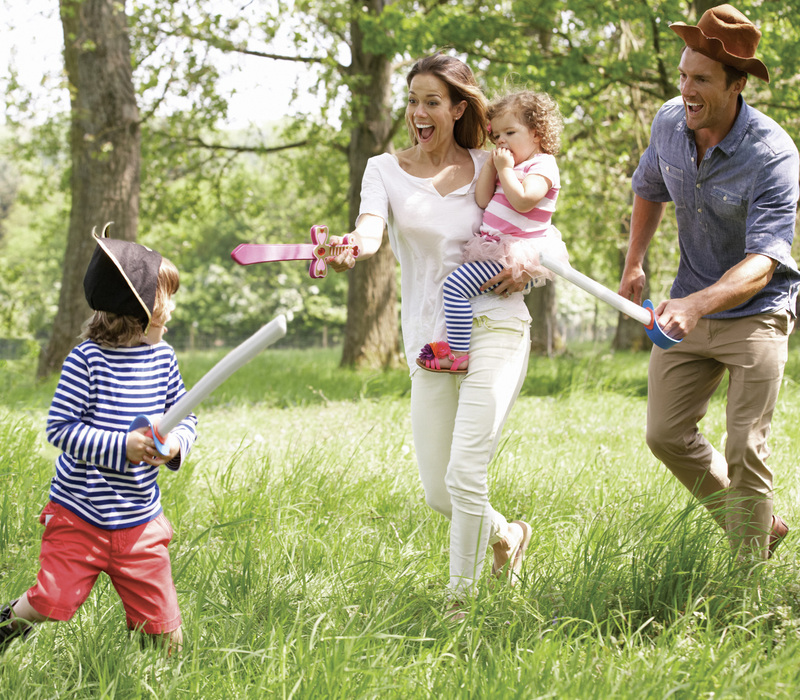 Entwined within its historic character of winding lanes and listed buildings you will find a great choice of things to see and enjoy, including the famous award-winning castle, museum and park. Full of all the vibrancy and excitement you would expect from a flourishing town, Colchester’s wide variety of high street retailers and independent boutiques provide the perfect place for a spot of retail therapy. Colchester has so much to offer – superb restaurants and cafés, a multi-screen cinema, the Mercury Theatre, galleries, sports and leisure facilities. It is fast becoming known for some of the best retail and entertainment opportunities in the region. Little Bentley is located just off the A120, enabling easy access to key road connections such as the A12, M11 and M25 further afield. London is easily accessible when using the frequent train services from Manningtree station, around ten minutes away by car, which provides regular fast links to central London and beyond. Please register to receive the latest information on this exciting new development.